Information following applies to the new Apis equipped with the Hirth F33BS engine. The Apis is a pre-molded, composite build, single seat, single engine, mid-wing, classic, fixed or retractable undercarriage, high performance, self-launching glider. 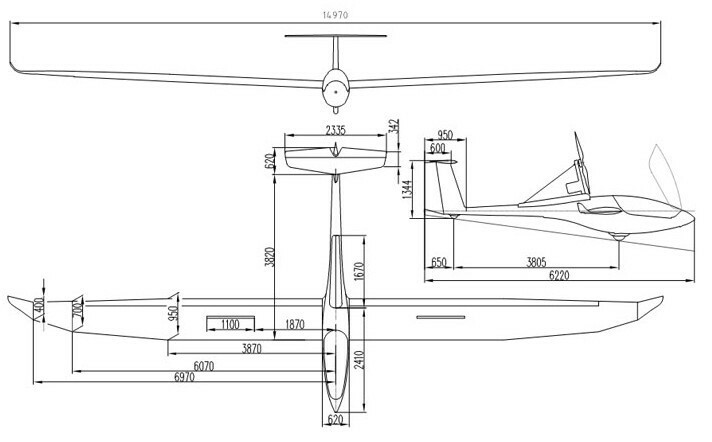 By concept, it is single-seat version of the Pipistrel Taurus. The Apis was originally designed by Pipistrel but was given to another company to produce, now the project is back with Pipistrel and after 12 months of development and with around 130 improvements the Apis has just been re-released to world markets. Please take your time to browse through the information below and as always if you have any additional questions please do not hesitate to contact me immediately. 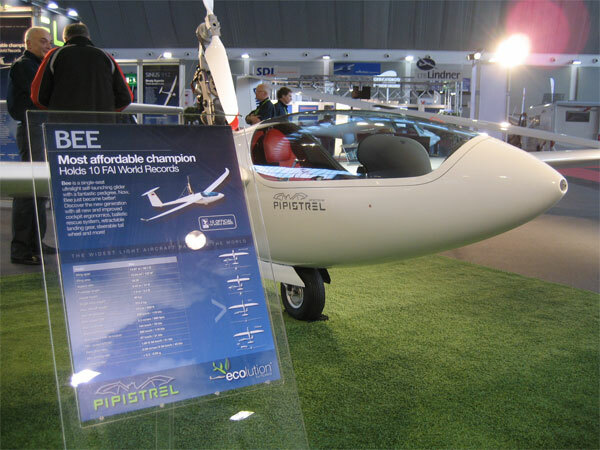 How much does a Pipistrel APIS cost ? What is the current delivery time from placement of order ? Is a trailer available for the Apis ? What is the warranty ? Why is the name Apis and Bee used ? You will see the plane advertised as the Apis or the Bee, but they are the same plane. The design weight for the new Apis is 350 kg (1212 lbs) with more than 120 kg (264 lbs) useful load and the fuel capacity of 20 liters (5.3 gallons). Baggage load (typical, depends on actual aircraft configuration, instruments etc.) Apis is a glider and there is no dedicated baggage space. Small items can be carried in the side pockets and at the seat sides. Design and tested safety factory minimum 1.875! 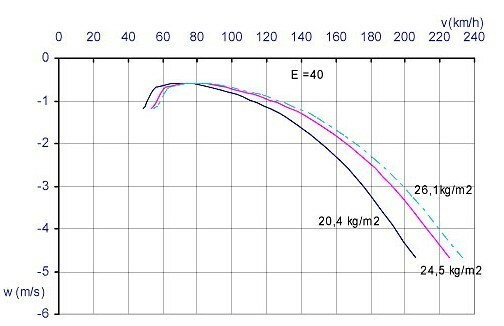 Data published here is for take-off mass of 322.5 kg, ISA conditions, sea level. 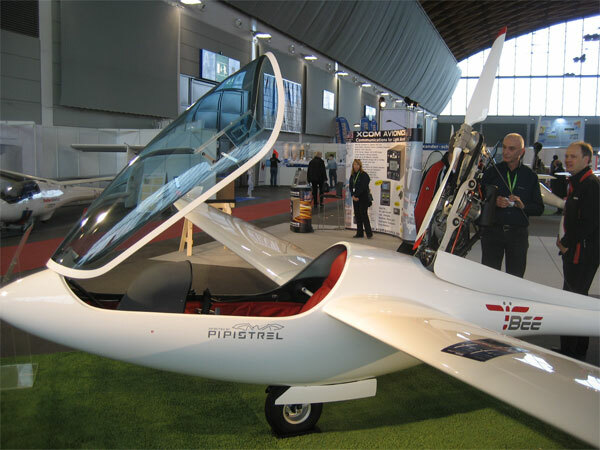 This model of the Apis manufactured by Pipistrel is the second generation of Apis and a huge improvement over the original aircraft. Immediately noticeable from the outside, the tailwheel is recessed and Stearable through the rudder pedals. This makes taxiing like a dream! Further, the main landing gear is retractable (optional equipment) by manual mechanical installation. The force on the handle is super-low, even lower than on the Taurus and the reliability is much better than electrically retractable landing gear with other designs. Both these improvements of course improve gliding and climb performance! The Apis can now be equipped with a ballistic total rescue system (option)). It is no longer necessary to wear a backpack parachute, which is great benefit for larger pilots. With the ballistic rescue system, the safety is always with you. The activation handle is a pull type and located at the right hand side of the main instrument column. The new seat shape and back allow much more room than the previous aircraft. Further, thanks to the ballistic rescue system option and different seat cushions the cockpit room has been improved by a considerable margin. Of course, the pedals remain adjustable in-flight as standard. The headrest is now standard, it is an addition with a similar fully adjustable design from the Taurus. The engine selected for the Apis, the Hirth F33BS is renowned for reliability and excellent power-to-weight ratio. We have designed an all new propeller and the result is a 15% performance in both take-off and climb. Apis now climbs in excess of 3 m/s (600 fpm), which is more than most self-launching gliders and more than a glider tow. Now used are double shock absorbers sets on the engine attachment points to reduce the overall vibration. The engine cylinder head is a different, new model which improves the cooling. For safety and convenience reasons, the fuel tank has been moved from the fuselage into the wing. This allows for a much bigger fuel tank (20 litres instead of 8 litres) and of course much more autonomy and freedom of flight. Having all the fuel in the wing is a great safety improvement as well! When assembling the Apis you connect the fuel using the fast-click-on connector, and you are ready to go. The instrument column is now lower and wider at the top whilst providing more legroom. The instrument panel can also fit the modern gliding computers, such as the color-screen LX8000! Because of the lower profile of the instrument panel, forward visibility is improved during take-off and landing. The cockpit handles and their positioning have been updated for better ergonomics for both small and large pilots. The handles resemble the positioning in the Taurus for easier type training. Our praised (Klaus Ohlmann says it is the best!) engine management system Ibis II from the Taurus is now standard in the Apis. The pilot must only select the position of the engine (up/down) and the system will take care of the rest. Also, you can use the Taurus to train Apis pilots for a reduced learning curve and no problems with transitioning to the single seater. Primary flight controls (ailerons, elevator and rudder) have been harmonised to give the best possible pilot-feel at all speeds. The ailerons are no longer hard and the Apis now handles as lightly as the Taurus. The Rudder pedals and wire ropes have been redesigned for smoother travel as well. All control surfaces now feature different high performance leak-free gaskets, which also contribute to a more direct and lighter control feel, while at the same time improving the overall performance. As an option, it is possible to have the bigger 5.00 x 5 wheel/tyre. Standard is the 4.00 x 6. The bigger 5.00 x 5 wheel can be installed both as fixed and retractable! Very suitable for grass and rugged terrain. People often ask – is the leather upholstery offered as optional equipment truly leather? Yes, we use 100% genuine NAPA leather with Bovine texture in choice of colors. The customer can choose the color of the seats and surrounding upholstery in a single color. Solar panels can be installed as an option, they cover all electrical consumption during gliding. They will recharge the battery on ground as well. The complete engine unit is now modular, including all of the connections (fuel, electricity, sensors, etc.) which are now done with connectors. For maintenance, you can not dismount the whole engine unit in minutes! The engine extension/retraction (engine up/down movement) now only takes 6 seconds. This is much quicker than before and improves both performance and safety. Now more fresh air will be entering the cockpit then ever before. It is also strategically distributed over the canopy to prevent fogging when flying below the cloudbase. A major addition is also the safety firewall between the cockpit and the engine compartment. It improves safety and cancels a lot of the engine noise which would otherwise be entering the cockpit. And 116 other little improvements! which contribute to a lighter, safer structure, easier operation and better performance.